Have you ever walked over a London bridge and looked down to see the tide was out on the river, and the freshly exposed beaches were dotted with little hunched figures, picking their way across the foreshore? Those figures were likely to be Thames beachcombers, called mudlarks, searching among the flints and gravel for fragments of London’s history. The River Thames is astonishingly generous with the bounty that it gives up to those who look for it. Every community that lived by its banks has left traces in the river’s mud: Bronze Age swords, sacrificed to its waters; Roman pottery, broken and thrown away, and monumental statuary, iconoclastically disposed of; Tudor gold; Georgian pipes; Victorian everything. 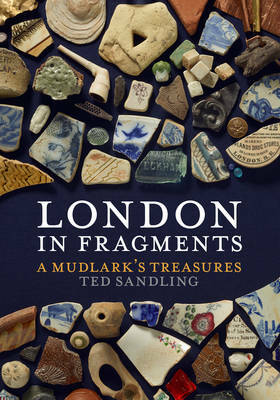 Vauxhall writer Michael Leapman introduces an illustrated talk on Thames ‘mudlarking’ or beach-combing by Ted Sandling, author of London in Fragments: A Mudlark’s Treasures, at a Friends of the Tate South Lambeth Library/The Vauxhall Society event at the library. Wednesday 8 February, beginning 7pm (doors open 6.30pm).